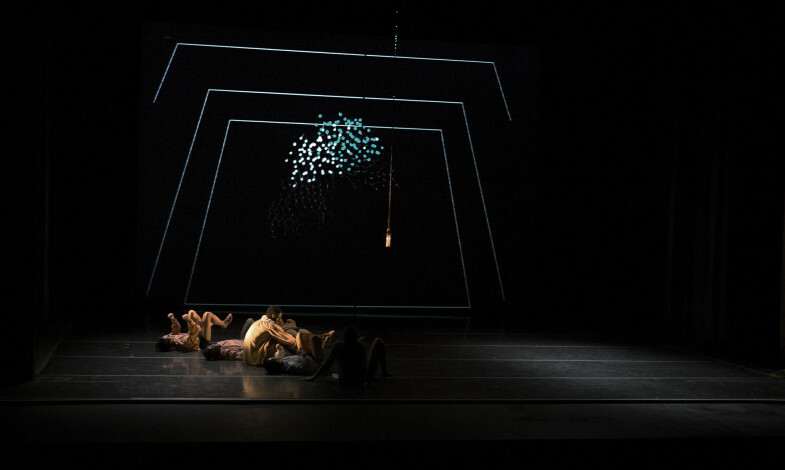 “WITH OUI” is an audiovisual dance performance presented at the Ears, Eyes and Feet event in the B. Iden Payne Theater, May 2015, UT Austin Texas. 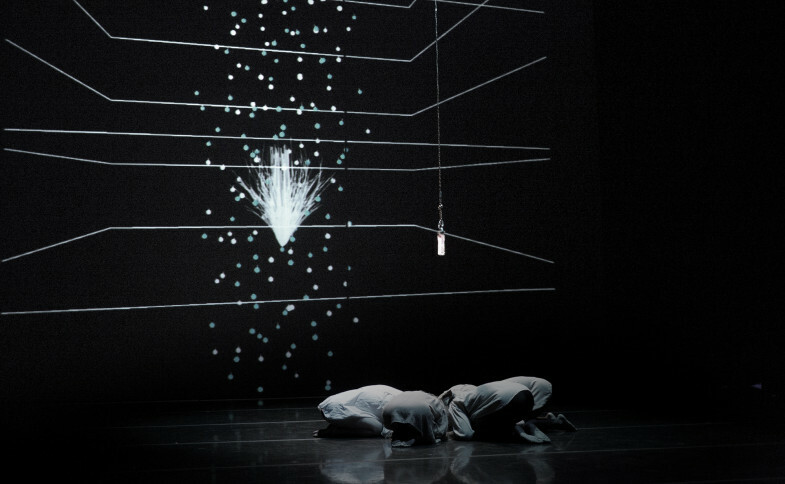 The narrative of the piece develops around human communication and mutually supportive relationships. 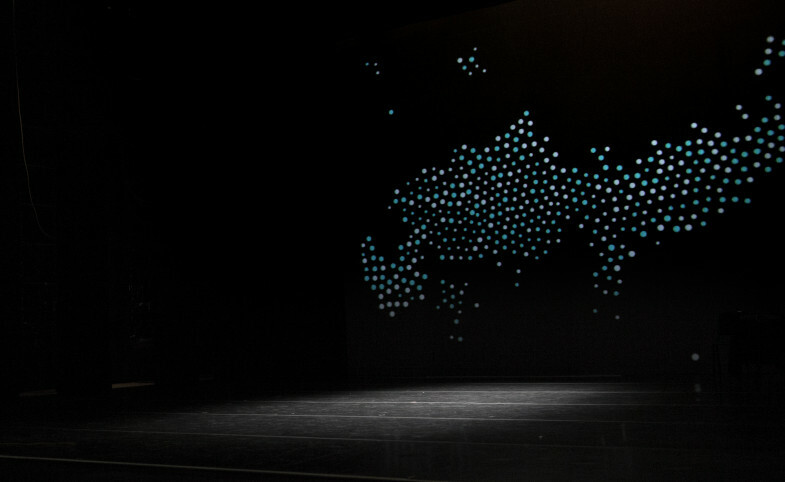 A bright object in the middle of the stage acts as source of knowledge and connecting link between the dancers. This object contains inside a motion sensor (a Wiimote controller) and is used in specific moments by the dancers as a performative object to manipulate audio. AudioReactive visuals were developed in Processing using the Plethora library for the flocking implementation. Boids behaviour’s parameters (cohesion, separation, alignment) are audio reactive. 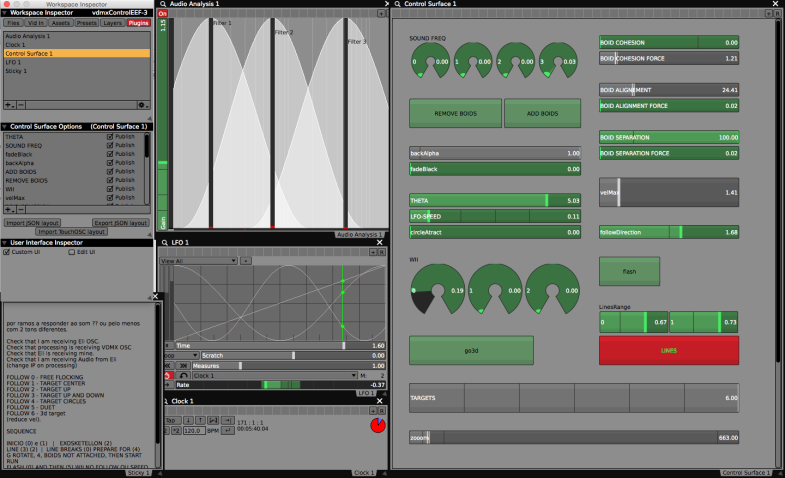 Audio analyze and other parameters controls are done live in a VDMX projec and sent by OSC. Processing code at Github here. 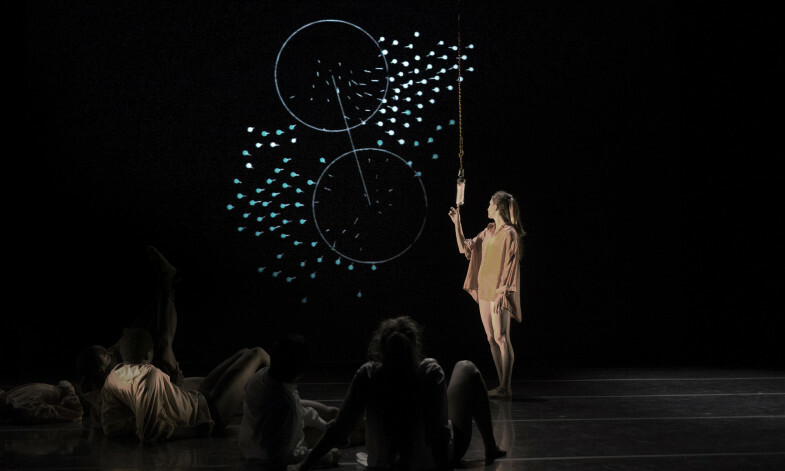 “With Oui” – May 2015 | B. Iden Payne Theater, UT Austin – Texas. 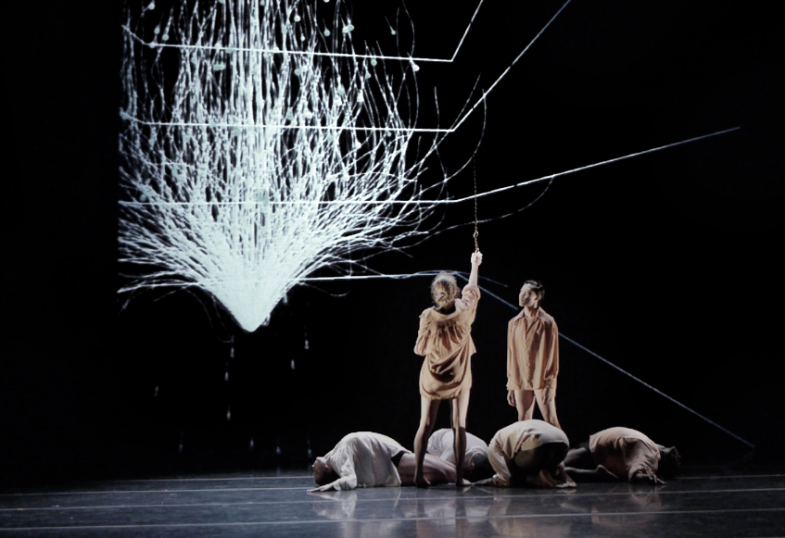 Choreography: Billie Secular, Ladonna Matchett; Sound: Eli Fieldsteel; Live Visuals: Rodrigo Carvalho; Lighting Designer: Ya-Tai Chung; Dancers: Zach Khoo, Kelsey Oliver, Gianina Casale, Nick Kao, D’Lonte Lawson, and Sam O.